Book with three songs and bright illustrations - a great gift for your kid. Click on the button and listen to the great song from a well-known Russian cartoon. 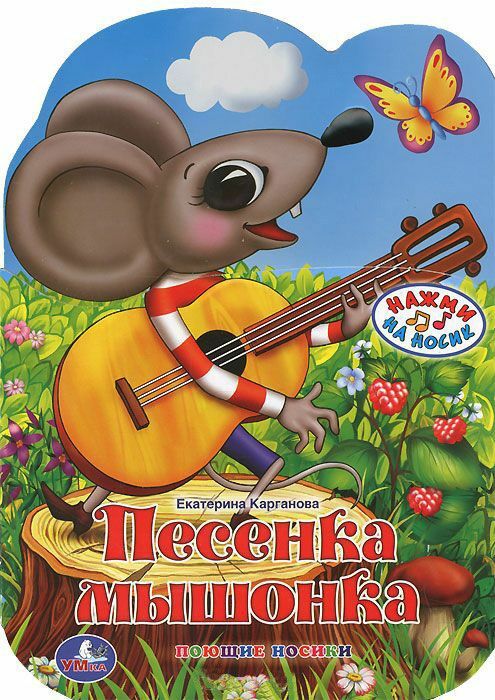 Book with Mouse's songs and bright illustrations - a great gift for your kid. Click on the button and listen to the great song from a well-known Russian cartoon.